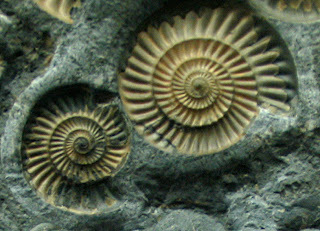 Ammonite fossils of the Promicroceras planicosta on display at the Smithsonian Museum of Natural History in Washington D.C., USA. 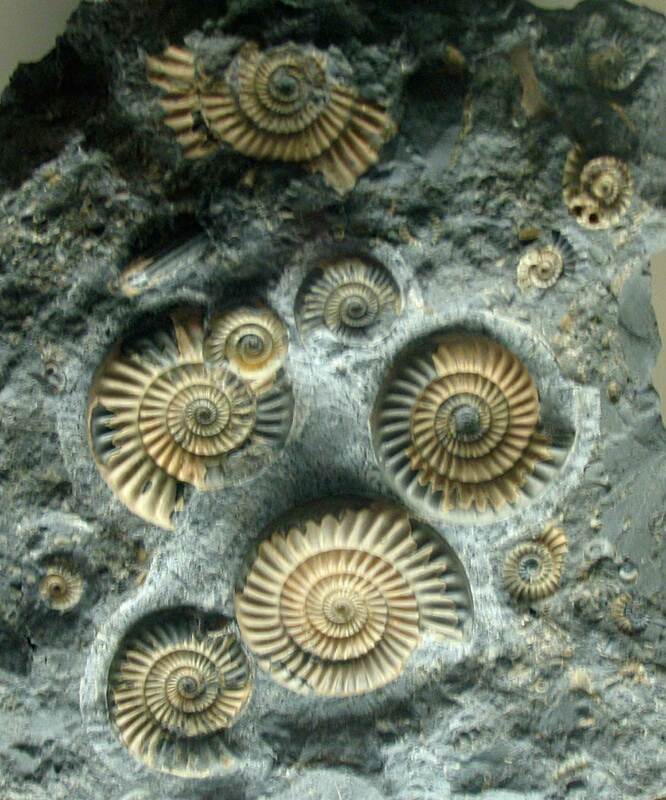 Rock plate is from England and the creatures date to the Early Jurassic Period (188-184 million years ago). 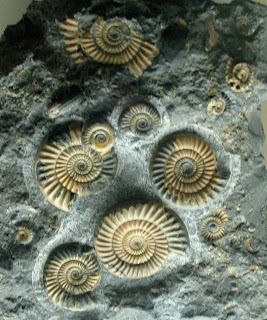 I have one of these fossils from Lyme Regis, England. See it at this previous posting. Learn more at this entry on Wikipedia.